Hi, will you rub my belly? My name is Mocha! 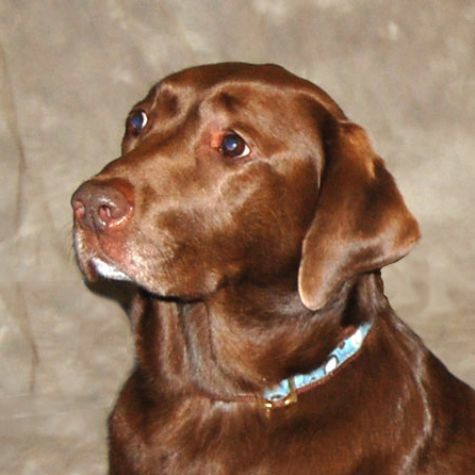 I'm a very loving, sweet, and calm chocolate Labrador retriever, and I love to visit with Love on 4 Paws. My mommy and her mommy both go on visits with me. So don't be surprised when you see me bringing my various humans to come visit you! When I don't have my volunteer vest on, I like to play with my four brothers and sisters, who also are all Labs. I also like to play fetch, and I really like to go in the swimming pool during the summer.